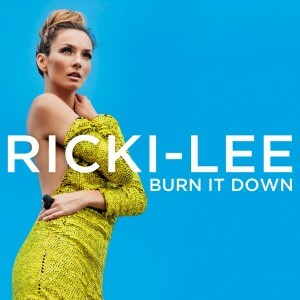 Ladies and gentlemen… Presenting the cover image for Ricki-Lee’s brand new single ‘Burn It Down’. Shot through to us a matter of minutes ago, it features a hot new shot of our pop goddess against a sky blue background. The new single was serviced to media last weekend and is the fourth to be lifted from her new album ‘Fear And Freedom’, following on from ‘Raining Diamonds’, ‘Do It Like That’ and ‘Crazy’. It’s one of our (and Ricki-Lee’s) favourite tracks from the new LP. It’s at digital retail now. Didn’t she just release an album. She seems to have been doing promo for months now.